Where Are the Most Dangerous Intersections in Savannah? In 2017, the city of Savannah, Georgia recorded 20 fatal car accidents and 23 deaths. Two of these accidents involved drunk drivers, while eight involved pedestrians. The state as a whole had 1,554 traffic fatalities the most recent year data is available. Intersections are some of the most common settings for serious and fatal car accidents in Savannah. 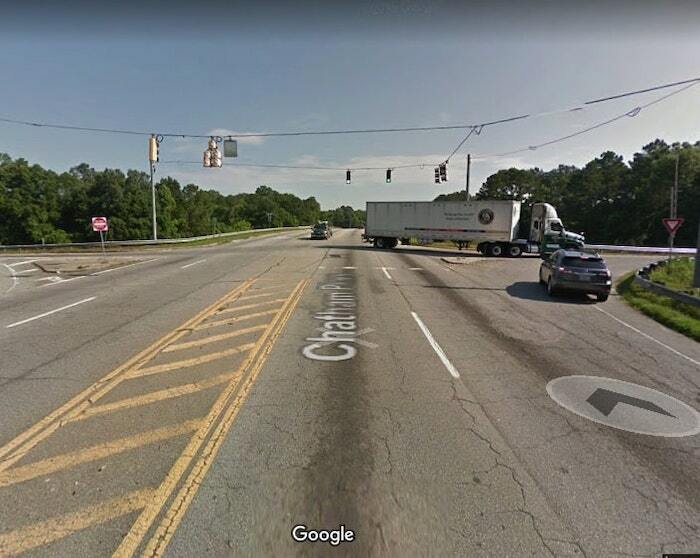 Drivers speeding, running red lights, ignoring stop signs, distracted driving, and failing to yield the right-of-way can all cause accidents at some of Savannah’s most dangerous intersections. 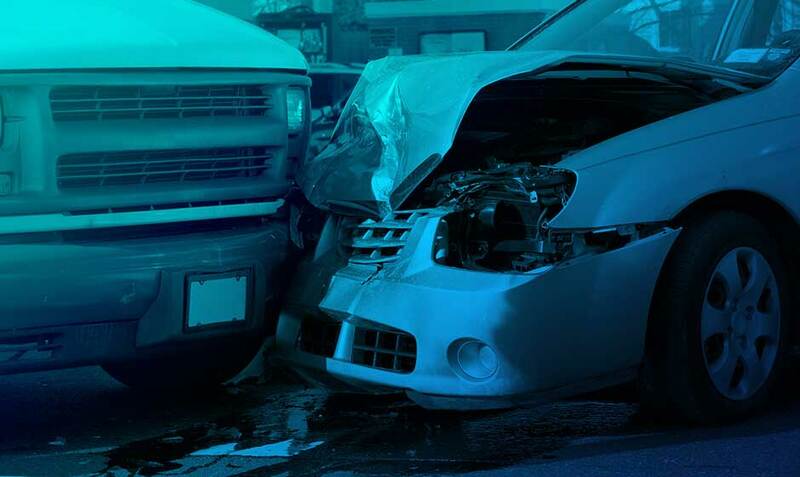 Whatever the cause, it’s important to consult an experienced Savannah car accident attorney to seek the maximum compensation for your accident case. What Dangerous Intersections in Savannah Should I Watch Out For? In 2017, almost 10,000 car accidents in Savannah occurred at intersections. More than 5% of Savannah residents were in intersection accidents in 2017. Some cross-sections are more dangerous than others, often from location, design, or traffic congestion. If a daily commute brings you to the intersection of White Bluff and Abercorn in Savannah, you are at high risk of being in a collision based on past crash data. 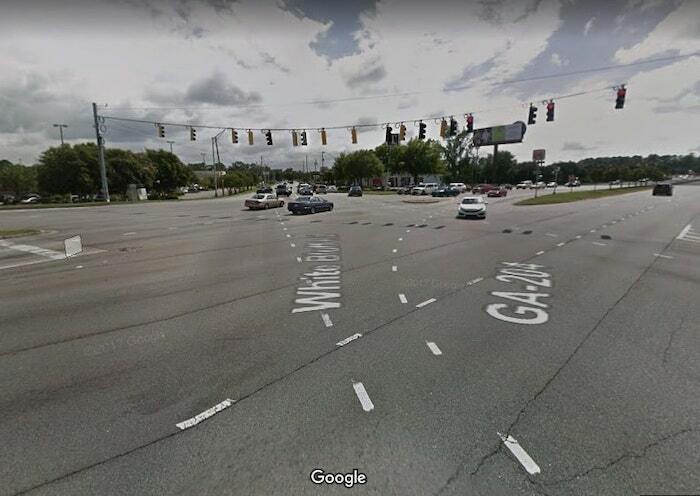 In 2017, this intersection recorded the highest number of auto accidents, as well as the highest number of crashes in Savannah that resulted in emergency medical care. White Bluff & Abercorn is currently tied with the second most dangerous intersection along Interstate 16 in regards to total vehicle collisions. However White Bluff and Abercorn has seen a higher number of serious accidents. We will discuss the #2 below. Residents call the stretch of Interstate 16 near Savannah the Devil’s Highway, because of the high number of fatal accidents that occur here. Problems with the design of the highway, and its inability to handle increased amounts of traffic, have contributed to deadly collisions. 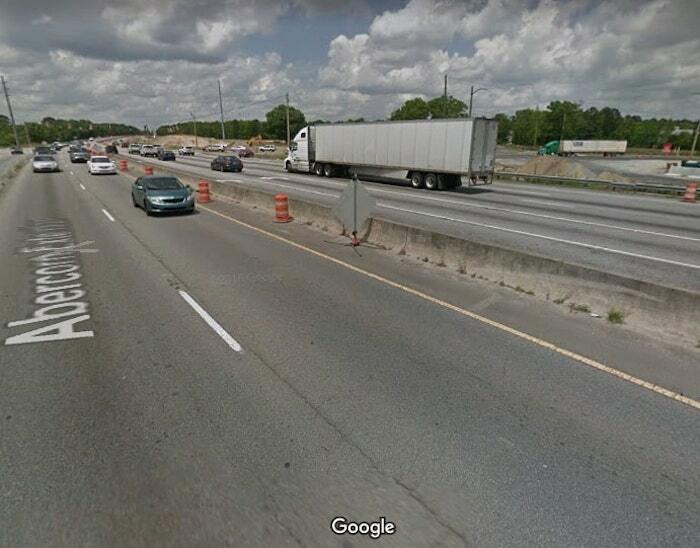 Other causes of accidents on I-16 are a high volume of vehicles that pass through every day (around 27,000 according to the Department of Transportation, or DOT) and distracted and negligent drivers. Other parts of I-16 are unfortunately more dangerous, taking lives every year. In 2015, a truck driver who may have fallen asleep killed five people on I-16. Less than one month prior, a truck driver who was texting and driving crashed into a line of stopped vehicles on the same stretch of highway, killing five nursing students from Georgia Southern. 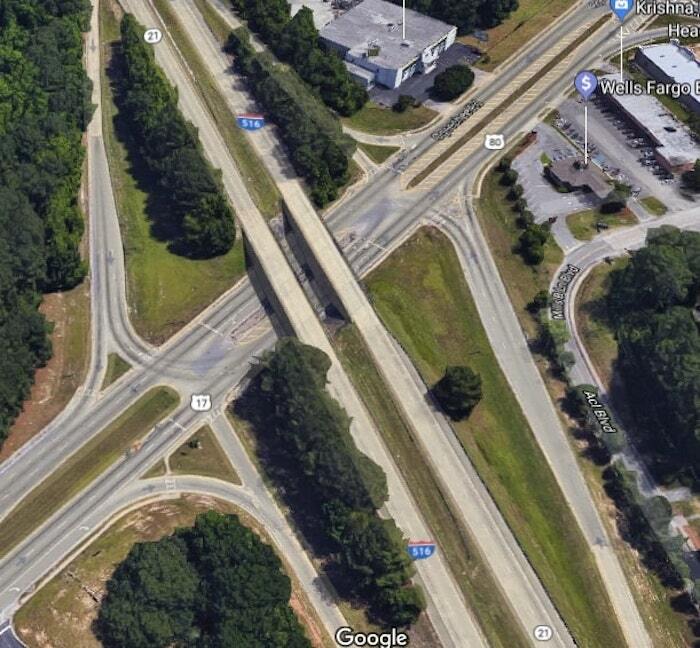 Georgia’s DOT says it has plans to improve the safety of I-16, including changes to where it intersects with Chatham Parkway. Its plans include expanding the highway to six lanes on both sides to accommodate the increase in traffic and to help reduce congestion. This will hopefully prevent future fatal rear-end collisions and intersection accidents, although it will come too late to save the lives already lost. Beside off White Bluff, several other intersections on Abercorn are dangerous for Savannah drivers. The intersection of King George and Abercorn recorded the third-highest number of collisions in 2017. Several multi-vehicle crashes at this intersection have held up traffic and caused serious personal injuries. One of the most recent road shutdowns happened when a tanker truck driver lost control in 2018 and struck a median at Abercorn and King George, resulting in a truck fire. Luckily, no one suffered injuries in the accident. Lynes Parkway has long been a dangerous road for drivers in Savannah. A large number of travelers using this road at high speed contribute to the number of deadly collisions. The DOT conducted a safety audit of the parkway back in 2013 following several fatal crashes but did not fix the evident issues with the road. In 2017, five fatal accidents occurred off of Lynes Parkway. Two of these crashes happened on ramps getting on and off the parkway. Two others occurred near the intersection of Lynes Parkway and Ogeechee Road. The fifth death occurred on Azalea Drive, off of the parkway. Decrease your risk of a car accident by being aware, and possibly avoiding the most dangerous intersections in Savannah at the peak traffic times, if at all possible. It’s a great practice to always look both ways before crossing an intersection and yield the right-of-way to passing vehicles and pedestrians to increase your safety.